BELGRADE – Reactions of Belgrade’s officials to the announced formation of Kosovo Armed Forces have been fierce and, according to commentators, overblown. 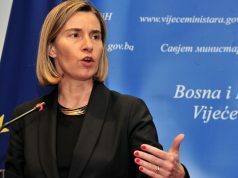 The current crisis in the relations between Belgrade and Pristina, as well as de facto shutdown of the Brussels dialogue represented a buzzword for tabloid media in Serbia, which have started to emphasise that an eventual formation of the Kosovo Army would represent a direct threat to the survival of Serbs, which KFOR in its current capacities would not be able to prevent, and even that this NATO-led mission is concerned about a potential incursion. After the adoption of three laws concerning the transformation of Kosovo Security Forces into a real army, a fear that the situation in Kosovo could destabilize once more has become intensive. The tabloid media are, of course, at the forefront, some reporting that KFOR has sent its unites to block the entrance into Serbian areas, and other that KFOR “is training for the action of abduction of the North”. Both reports are actually derivates of a statement KFOR has put on the social media in the context of its regular activities. KFOR currently commands over 4.000 members, and the number of countries that participate in the forces decreases every year. Even though the number represents less than 10% of the original 50.000 soldiers, it cannot be argued that KFOR is not a significant army force in Kosovo. KFOR is a mission of NATO, and is represented in Kosovo by international peacekeeping forces led by the Alliance, with the aim of maintaining order and peace, that is creating security in Kosovo after the conflicts and retreat of forces of Yugoslavia, i. e. Serbia. KFOR has a mandate to improve secure and safe environment, to support and coordinate international humanitarian efforts and civilian presence and support the development of a stable, democratic, multi-ethnic and peaceful Kosovo, as well as to support the development of Kosovo Security Forces. The original goal of KFOR was to prevent the return of hostilities, establish safe environment and provide order and peace. Each activity of KFOR is determined by the decision of North Atlantic Council, depending on the situation on the ground. Through the years, as the security situation in Kosovo improved, NATO gradually adapted the number of soldiers in the direction of a smaller and more flexible mission, with a decreased number of static assignments. 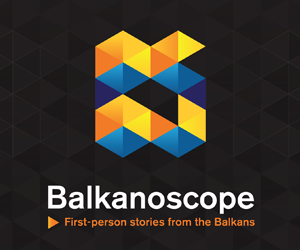 Chief editor of the Belgrade Security Network Aleksandar Radić stated for the European Western Balkans (EWB) that it is unknown whether the current number of KFOR soldiers is sufficient to prevent the outbreak of a war, but also noted that NATO possesses mechanisms for swift reaction in the case of an incident. He added that KFOR has been working on gradual retreat of its forces for years, but that it still represents the only efficient mechanism for conflict prevention in this part of Europe. “KFOR is the only actor with the responsibility to maintain security (in Kosovo), although it is now unclear if its mandate should be aligned with the new legislative solutions, or it will continue to implement Resolution 1244, which can only be amended by United Nations Security Council”, said Radić, adding that a further retreat of KFOR would be “catastrophic for Serbia”. While leading the Brussels dialogue, Serbia especially insisted on continued participation and presence of KFOR in Kosovo, and it can be argued that the regional security relations between Kosovo and Serbia still exclusively rely on NATO’s presence. Despite the training provided by KFOR to Kosovo Security Forces, for which nobody is trying to hide that they represent preparations for a transformation into real armed forces, Serbia recognizes KFOR as the main military actor in Kosovo and has a great cooperation with NATO troops along the administrative line. “NATO supports the development of Kosovo Security Forces in the framework of their present mandate. Kosovo Security Forces are a professional organisation and a source of regional stability. If their mandate is widened, North Atlantic Council will have to reconsider NATO’s level of engagement in Kosovo. It is important that all communities in Kosovo and NATO allies be consulted when it comes to any initiative connected to a mandate of Kosovo Security Forces”, Cuoci explained. 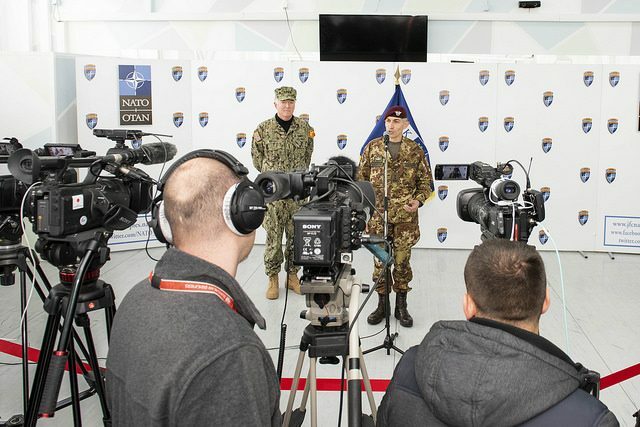 The media have previously reported the assessments of NATO officials that the transformation of KSF into an army would last at least 10 years, and that the sole act of adoption of laws in the Kosovo Assembly does not mean the formation of an army. Programme director of Belgrade Fund for Political Excellence Marko Savković stated for EWB that he believes to the estimates of the experts that the transformation will last long and that the official Belgrade will most certainly react, but doubts that it will go further than verbal objections. According to him, transformation of Kosovo Security Forces will not change “the state on the ground” as much, and it is taking place in a moment in which Pristina urgently needs a “success” to close the year in which they were objectively lacking. The fact that the mission is led by NATO and is included in the command structure of the Alliance is much more important than the number of soldiers engaged in KFOR. Savković reminded that the United States Ambassador to Belgrade Kyle Scott, during one of the panel discussions at the Belgrade Security Forum, answered the question from the audience on whether the international presence in Kosovo and Bosnia and Herzegovina should be increased in order to prevent any intervention of Serbian Armed Forces by using an analogy with a “tripwire” and, more importantly, Fulda Gap. The gap represented two corridors through a valley by which Warsaw pact tanks could potentially cross the Rhine and surprisingly attack NATO troops during the Cold War. Scott then stated that it is was not important how many tanks were defending the corridor, but rather “what would happen if the Russian tanks came through”, referring to a nuclear reaction of USA. “It is, of course, clear, that it is an extreme scenario. 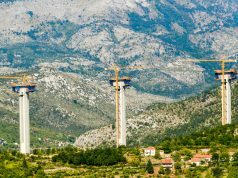 By the way, I wrote a text in June 2017 titled “How would the next Western Balkan war look like” in which I emphasised that the conflict would be over in 48 hours, and the consequences for Serbia would be severe. If we are talking about the scenario in which Pristina would try to impose its authority over Kosovo by force, consequences for Kosovo would be severe. I still believe that there is enough reason on both sides, and the latest statement of (Kosovo Prime Minister Ramush) Haradinaj is going in the direction of de-escalation, and we will see if Belgrade is ready to “loosen” a bit with the disputing of Kosovo’s statehood”, concluded Savković. Earlier, Aleksandar Radić has assessed for TV N1 that the formation of Kosovo Armed Forces would represent endangering of Serbia’s interest, but that it is not an act of aggression or an announcement of ethnic cleansing of Serbs. “Kosovo Security Forces remain under the same mechanism they were until now. KFOR is the only address, and communication with it is sufficient and efficient. These are professionals, Serbian soldier and KFOR member easily understand each other, they are using professional language and all they need is a political support. Strict respect of mandate needs to be demanded from KFOR”, said Radić. Before the announcement of the latest measures in Kosovo relating to the armed forces, the media had also exploited the subject of the police actions in the North of Kosovo, during which President Hashim Thaçi firstly visited Gazivode Lake and, most recently, the police incurred in Kosovska Mintrovice and arrested four Serbs in the context of the investigation into the January 2018 assassination of Oliver Ivanović, leader of the citizens’ initiative “Serbia, Democracy, Justice”. 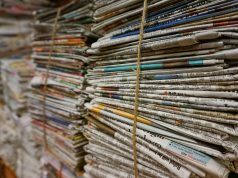 Serbian media and several official accused KFOR of not reacting in these cases, which represented a violation of its mandate and Resolution 1244. In both cases, KFOR released a public statement which noted that Kosovo police did not execute illegal or military operations, not that there was a security threat to the citizens at any moment. “KFOR confirms that only a police operation has been executed, and that neither Kosovo Security Forces nor any other military formation has been located in the North of Kosovo”, stated KFOR. With the statement, KFOR indirectly reminded of what is mostly overlooked in the Serbian media – the fact that the mission and most of the international actors recognize all segments of Kosovo police as legitimate bodies for law enforcement on the whole territory. “Kosovo police is already operating on the whole territory of Kosovo, including northern municipalities, so there is no need for a permission. As for the Kosovo Security Forces, there is an agreement according to which they must be permitted by KFOR to send units to the northern part of Kosovo”, stated Cuoci in an interview for EWB.